My research into the Gallipoli campaign continues. In my last post I mentioned that I would add a prologue section to Mermaid Boneyard to deal with Walter’s historical life (sans undersea adventure). I am now leaning toward having historical, adult Walter interwoven throughout. The men who died at Gallipoli almost demand a more in-depth treatment; at least that’s how I feel after a minimal attempt at research. I hope this isn’t a desperate attempt by my subconscious to subvert my writing. The task of writing about an historical event is daunting. Every other armchair historian knows more about this battle than I can hope to learn. This is where the story is leading me, though, and so I will pursue. I have scanned and skimmed all of Gallipoli 1915 by Tim Travers. (I cheated and used the index search to find mentions of Braithwaite.) The information is dense, detailed, and overwhelming. Travers gained access to all kinds of personal letters and journals, including much of Braithwaite’s own writings. I wish I could read his thoughts myself. My novice status on the topic of Gallipoli was bashed across my head while reading the Travers. Now I am skipping through The Dardanelles: Tragedy and Heroism by Richard Freeman. If I’d been more lucky I would have started with this light overview of the campaign. This is definitely a book for beginners. My hope is that when I have both books under my belt a writing brainstorm will strike. Also, I have trepidation about using an historical person so extensively. Walter was at first just an inside joke about how I picked a name. 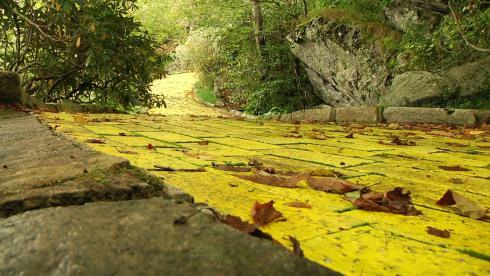 Now I am headed down a very rocky yellow brick road with no idea how long until the Emerald City.